ESCAPE 10 - Shoreline Properties, Inc. 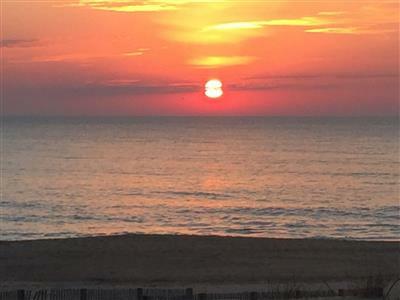 Cozy, fun oceanfront efficiency condo with free WiFi, a handy storage locker, adorable coastal decor, and a breathtaking view of the ocean located uptown and just steps to the beach! Escape 10 is a large oceanfront efficiency. It is the perfect place for a romantic getaway or a small family's first vacation. Stylish and comfortable, this condo is the perfect place for you and your family to call home for a week. Come stay at Escape 10 and make wonderful memories that will last you and your family a lifetime! Amenities: unit air conditioning, refrigerator, microwave, coffee maker, toaster, free WiFi, cable TV, 1 TV, 1 DVD player, balcony facing east with balcony furniture, and 1 parking space. Escape building has outside shower among other amenities. Building Desc - Directly ocean front, this 3 story frame building in uptown OC offers great views of the ocean and beach from the cozy east facing balcony. Unit air conditioning, an outside shower and one off-street parking space. Just across from Northside Park for crabbing, biking, and the free Sunday concerts by the lagoon. Nearby restaurants, shops, water sport activities and the movies. We had an amazing time in this charming cozy place. The view from the deck is breathtaking. We also loved how close it was to the park. We are looking forward to coming back next year.